The roll-on/roll-off cargo ship, Grande America, caught fire and sank off the coast of France on March 12 from Hamburg to Casablanca. An estimated 2,000 luxury vehicles were lost, including Audis and Porsches. Audi Brazil confirmed the vessel was carrying hundreds of A3, A5, Q7, and dozens of RS4, and RS5 models. 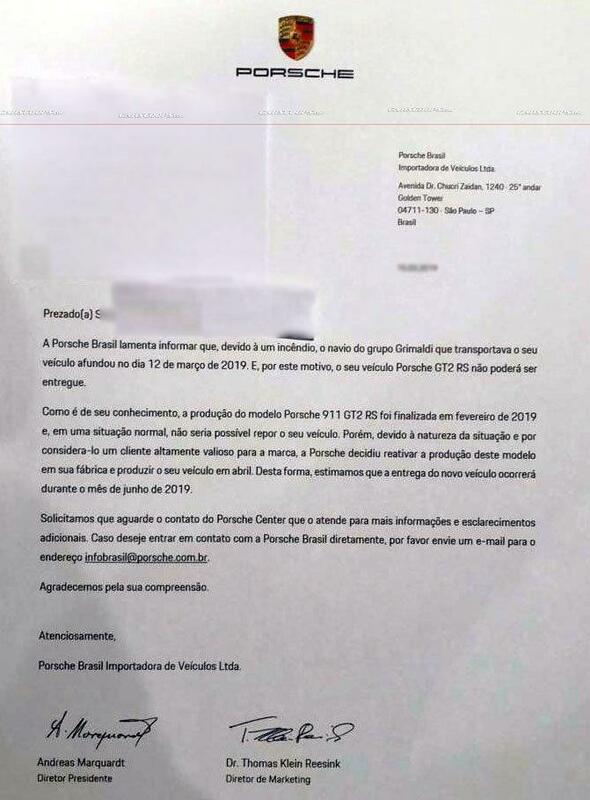 Porsche, however, hasn’t made a public statement about the incident, but thanks to an anonymous tip from Carscoops, a letter sent by Porsche Brazil to a customer shows their $300,000 911 GT2 RS was lost in the Grande America accident. 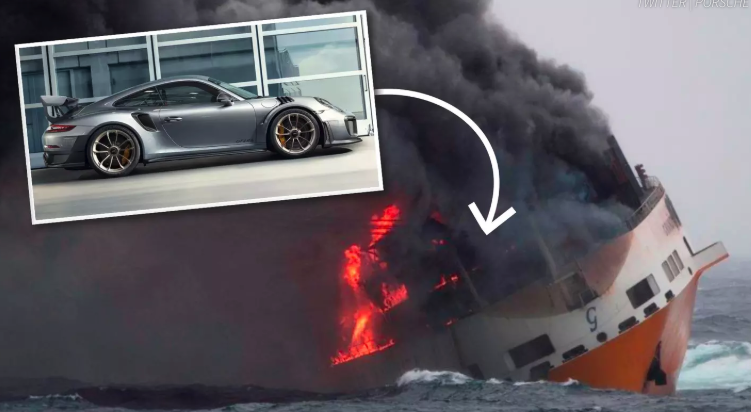 Brazilian sources told Carscoops that the vessel carried at least four Porsche 911 GT2 RS, worth about $1.2 million, along with other models, including Boxsters, 718 Caymans, and Cayennes. A Porsche Brazil spokesperson confirmed 37 of its luxury cars were aboard the doomed vessel. The carmaker even said it would reopen production lines in the next several months to replace the lost 911 GT2 RS units. The cause of the fire is unknown at the moment; French authorities believe it started on the car deck and quickly spread to the container part of the vessel.